I have a 9 year old who LOVES his video games. He doesn’t just play them, he lives them. Obviously he isn’t allowed to just spend all day on his consoles, so he fills the rest of the hours doing activities about them. He draws elaborate maps and levels, makes levels through the house using everyday objects, and his latest thing is to make short games character films using his DS as a video camera. Unfortunately he doesn’t have all the character toys he needed for his film, but fortunately he spotted this clip on YouTube explaining how to make one of the missing cast- a Goomba. 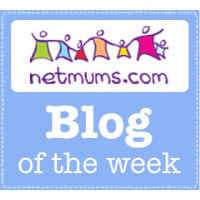 So we had a go….. It was fairly straightforward to make. 1) Cut the pieces as shown. 2) Sew the head pieces together down the middle, so you have two pieces- a front and a back. 3) Sew the facial features as required- you can add a mouth and teeth- we are on our next one. 4) Sew all the body pieces together, inside out to hide the stitches, leave a small unsewn area to turn out the right way. 5) Once turned the right way out, stuff with wadding then carefully sew the remaining gap. If in any doubt watch the excellent video linked to above! Max is delighted (as am I) with how it turned out, and it was both a fun and educational project for him. 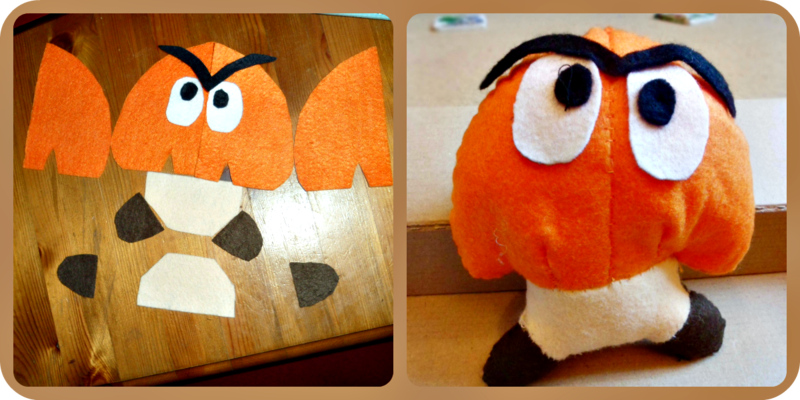 Next stop a felt plush mushroom and a double sized Goomba! It was easy too, half way through a second one now!